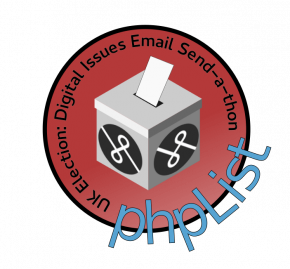 phpList is 15 years old today! To celebrate we have launched this website, phpList.org: an updated, well resourced home for the phpList community. Alongside this we have new phpList.com site, which re-brands phpList.com as a services provider. To further our celebrations, we will also be sending gifts to other Free and Open Source projects, inviting them to come and join our community with unlimited free phpList as a service on phpList.com. Help us launch in style! Share a little phpList love by publicising our launch on twitter, facebook, google or linkedin. There are lots of resources for sharing here. 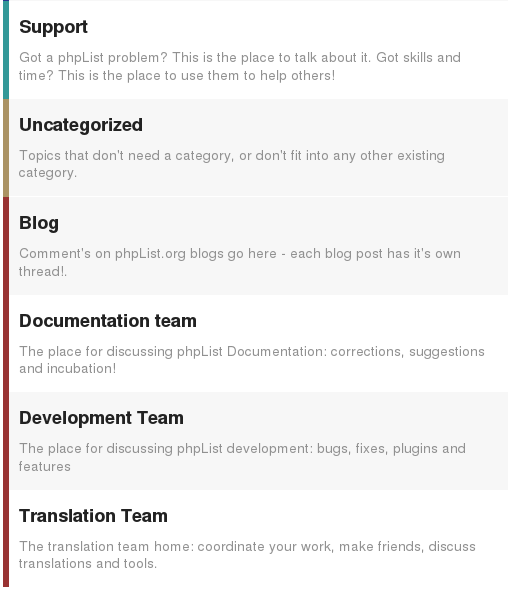 This new website is designed to serve and encourage the phpList community, including users, translators, documenters and developers. It should be helpful and inspiring to new and regular visitors alike, and facilitate the doing-of-phpListy-things. Popular features such as the team home pages, which display our community processes, are still in the mix. Additionally, sought after newbies such as single-sign-on with the forums have been added. The download and get phpList sections of the site, have been simplified into two concise pages. Two major aims of this site are to simplify our extensive community resources and to bring many different aspects of the community into a single space. Our new forum software, discourse, really make those aims possible. New forums: shall we discourse this further? Our new forums, which use super-dooper Discourse, provide a space for user support. They also include comment threads for blogs, social and project based discussing spaces and they will soon depreciate our mailman lists too. 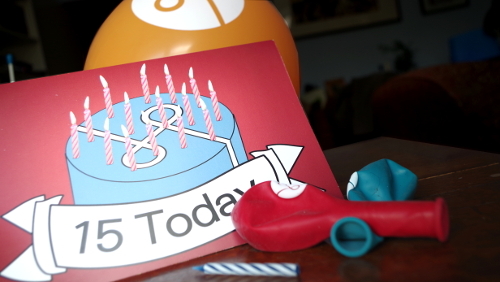 As part of our birthday celebrations we are sending a card and a gift, including unlimited free phpList hosting, to every Open Source project you suggest. Many projects are using proprietary software for their newsletters: you can help us free them. Here is a map of all the projects suggested so far. 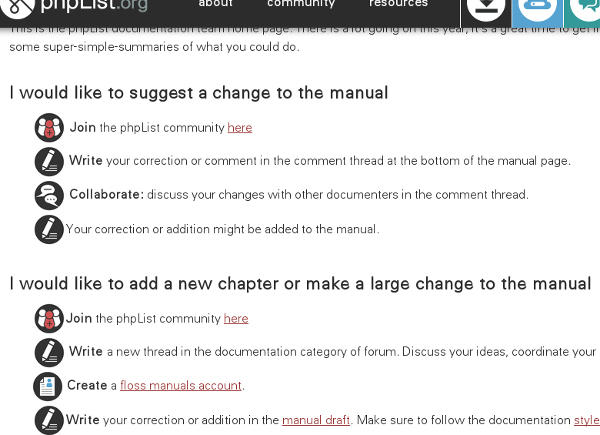 Our new phpList manual launches next Monday (if you sign up to the bloggers list you get advance access). To celebrate we are having a UK general election email send-a-thon. Full details will be announced in the next few days. Needless to say we are thrilled to be getting our hands on this new phpList manual: many thanks to the documentation team for all their hard work.